If you are experiencing Harley neutral issues, “hard neutral”, or having a tough time shifting your Harley, you may need to address your Harley-Davidson gear shift linkage as an assembly. Sometimes, a misaligned shift linkage will be obvious to diagnose. Other times you may need to examine the assembly more closely. As Bob explains, most typically proper clutch adjustment should also, always, be confirmed. When attempting to fix a Harley-Davidson gear shift linkage issue, verify correct adjustment at the clutch pack and in the cable per your service manuals specific requirements for your year, make & model. Also, be confident that your clutch lever is capable of completing full travel. Sometimes, path of travel can be limited, or cut short by an oversized, after-market hand grip; or possibly some other add on. If your shift arms are not properly aligned or your Harley-Davidson gear shift linkage is set to an incorrect length; you may experience binding, which will limit, or diminish your leverage. If you are replacing, or reinstalling the stock shift linkage on your Harley; it is important to assemble it back to the exact position it was in previously. When installing an after-market shift assembly, it is important to try copying the original, stock, configuration whenever possible to achieve the same, correct leverage. Last, but not least, always set your foot lever(s) for correct function and for rider comfort. When setting your forward most lever, be sure to allow for the boots that you will most typically ride with. When set correctly, you should be able to up shift without having to lift your entire leg in an awkward motion. If your bike is equipped with a heel shift, be sure that you have enough clearance between the lever and your floorboard. If the lever is set too low, it may have a limited path of travel that will restrict or limit your up shift. 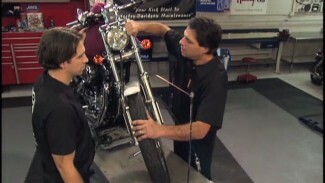 How often should I check my Harley-Davidson gear shift linkage? It is important to inspect your shift linkage assembly regularly. Try looking it over every time you check your lights and tire pressure. 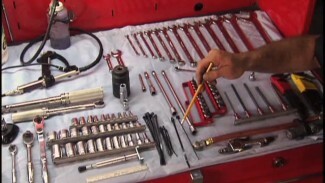 If pinch bolts become loose, remove them, clean them, and reinstall to factory torque specs with Loctite. If shift arm splines or shaft splines are worn; the components should be replaced. If a shifter shaft is to be replaced, it is also important to replace shifter shaft bushings at that time. Proper shift leverage is very important. Whether you are riding a 2015 Touring model, or a 1989 Sportster; the theory is the same. 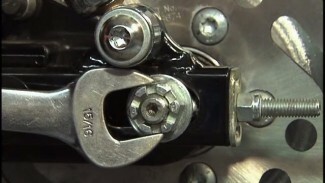 Look for other Harley-Davidson gear shift linkage videos by joining Fix My Hog. 2013 Streetglide front shift arm and shaft stripped. Also happened twice, to a friend with 2012 Ultra. We don’t think it’s abuse on our part and the dealer made a comment on this being an issue with touring bikes. I guess I’m looking to see if anyone makes a better part or if there is a way to stop this from happening. Thanks, Mike. Hi, Mike. We would suggest contacting Jim’s to see if they make a shift assembly for your year m/c. They do make a shift arm for your m/c. The quality is a little better than HD. Check out their website, or give a call.